No offense to whomever Photoshopped this, but it looks like the unfortunate offspring of the large screen of a LG KF700 and the oversized chin of an HTC G1. The image purports to be the next generation flash or harddrive-based Zune model, but I'd argue against it being a flash device based on the awkward positioning of the controls at the bottom, which make it seem like a more difficult-to-operate version of the 4G iPod Nano (a device with usability problems of its own). That just leaves the higher capacity harddrive based model. 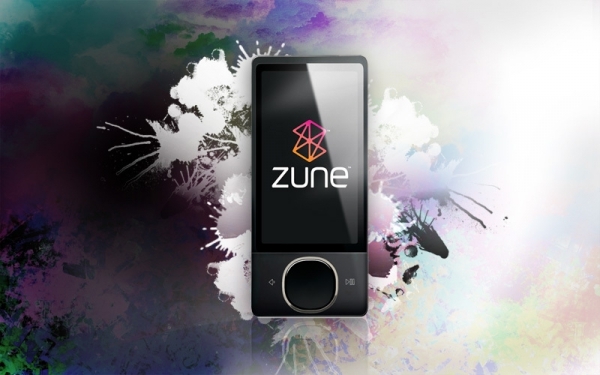 As Crunchgear's Devin Coldewey points out, it appears the screen is just a stretched copy of the Zune80 press image, the picture itself doesn't really vibe well with the rest of Zune marketing. Even though this clearly isn't an actual render from the Zune team, it does raise an interesting point; what will the third generation harddisk and flash-based Zunes look like? Is the high-end touch screen device the future of the line? Sure would be nice to hear from Microsoft on this.